Hello and welcome back to Cards By Kay . 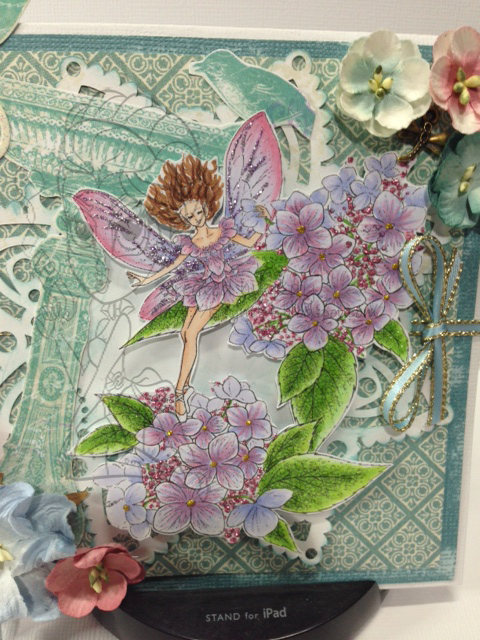 It is time to sparkle over at Left of centre challenges this week we want you to make your project sparkle head on over to the blog for all the details ! Our fabulous sponsor this time is the wonderful Auroa Wings over at Etsy ! 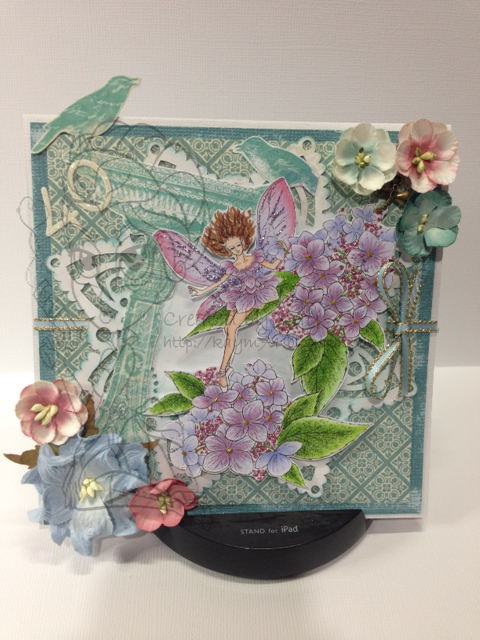 I am using the very gorgeous Hydrangea Fairy. I have used papers from the Graphic 45 Botanical Tea Collection ' Birds of a Feather' and Bo Bunny Enchanted Garden Collection. Flowers are from Petaloo and I have used Martha Stewart glitter pens to add my sparkle ! Thank you to Aurora Wings for sponsoring us this challenge. So now it's over to you come and join us for for some sparkly fun once again awesome prizes on offer ! !